Seoul is one of the great metropolises of Asia. And just like any great metropolis, it has options for those that love the outdoors. So wether you’re looking for some exercise up a mountain, some cool and refreshing air or some fun in the sun, you can take a break from the concrete jungle right here in Seoul! 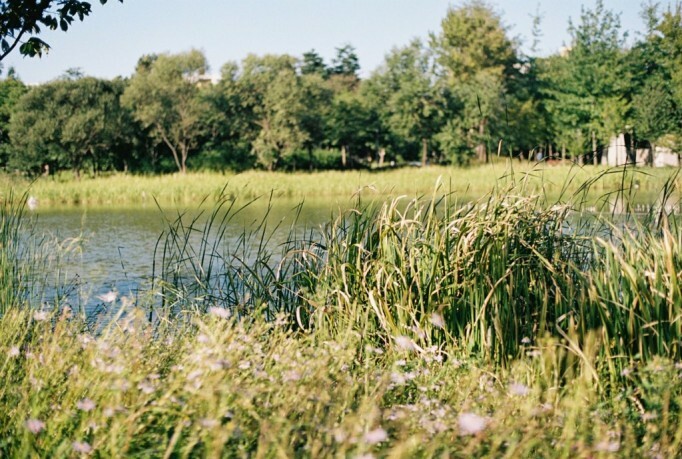 Seoul Forest is that one spot in every city that every nature lover should go to. 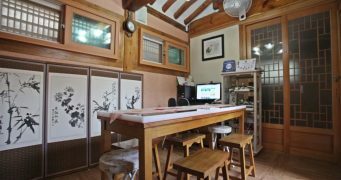 It’s easily accessible by subway (Seoul Forest Station – Exit 3, Bundang Line or Ttukseom Station – Exit 8, Line 2), and it’s both a nice walk and bike ride. 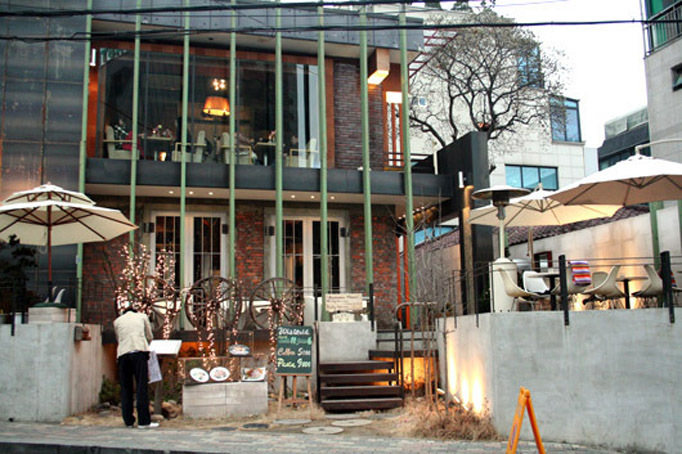 And any place that has nature and walking/biking paths are great if you’re looking for Seoul date places. It’s also super kid friendly, complete with an insect class, nature experience study field, and the wetlands ecological park! If you don’t have one of these nature safe havens that every city should have, take a nice leisurely stroll at this awesome spot! Here’s the Korea Tourism’s info page on Seoul Forest! If you’re sick of eating indoors, and you’re looking for outdoor seating to enjoy the nice weather these days, you have your pick of the litter when it comes to outdoor seating in Seoul! 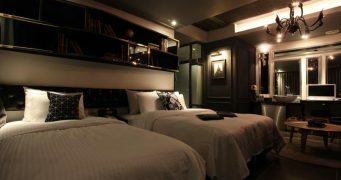 If you’re looking for cafes, you can always head to Hongdae or Samcheondong, which both have awesome cafe streets; and if you can’t find one with outdoor seating, you’ll definitely be able to find places with nice big windows that make people smile :). If you’re looking for good international eats outdoor (i.e. American, Thai, French, etc. 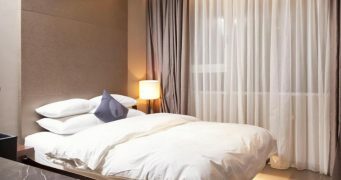 ), you can head to Itaewon. 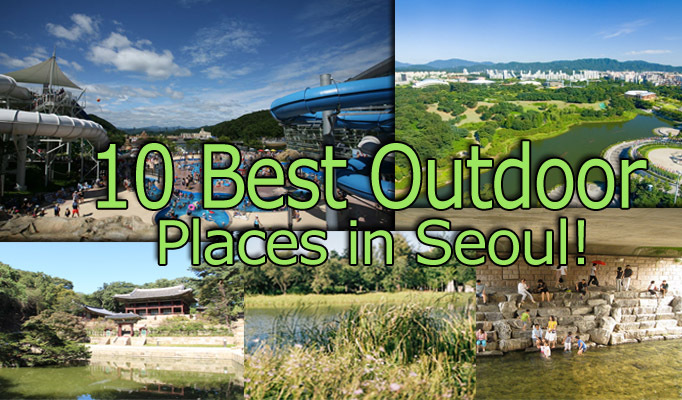 And if you want to just chill out at some of Seoul’s parks (see below) and just order some food to where ever you are, Korean delivery will do it. Korean delivery is just that awesome! Seoul is a very large city, and included in the city limits are some of the nicest peaks Korea has to offer! 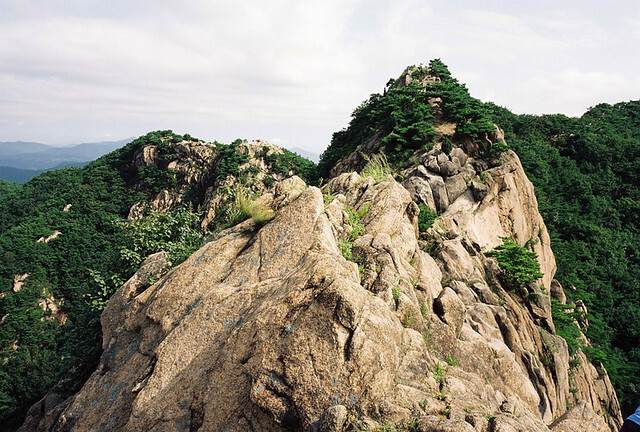 If you’re looking for some exercise that’ll give you a bit of reprieve from the Seoul traffic, you can head to any of Seoul’s super accesible mountains. Gwanaksan Mountain is on Subway Line 2, Seoul National University Station – Exit 3; Achasan Mountain is on Subway Line 5, Achasan Station – Exit 2; and Bukhansan Mountain, a national park, is on Subway Line 4, Suyu Station – Bus 6, 6-1, 8 to the last stop. And of course you’ll have an awesome view of Seoul whichever Seoul mountain you choose to climb! This beautiful stream in the middle of Seoul is one the more calming places to chill out on a hot summer day. If the sun’s beating down, you can hang out under the shade of a bridge and feel the cool air the stream brings. Night times are also really great weather and a pretty awesome date places at that. The salarymen in the area go there during their lunchbreaks before they have to go back in, and the couples come out at night when the night lights are on and the mood is romantic. Korean drama moments start here :). 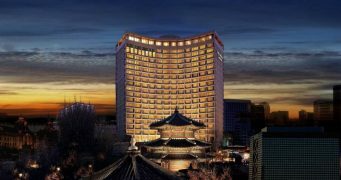 Korea’s last royal dynasty (Joseon) left behind their legacy in Seoul with their beautiful royal palaces. And because kings were… well… kings… they had a lot of space to do their thing. The main royal palace in Seoul is Gyeongbokgung Palace, and although there’s a lot of space, it might be too crowded with tourists for some. If you’re looking for a smaller more intimate palace to hang outside, try Deokseogung Palace (City Hall Station – Exit 2, Subway Line 1 & 2). 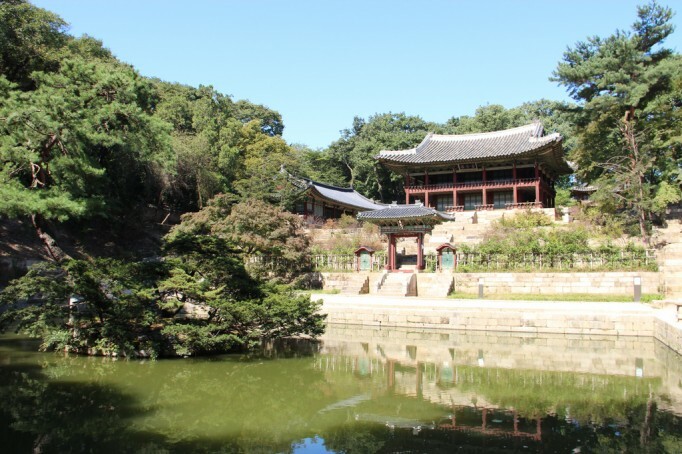 And Changdukgung Palace has the beautiful and picturesque “Secret Garden” if you want a very relaxing stroll. Outdoor lovers, say thanks to old school Korean kings! 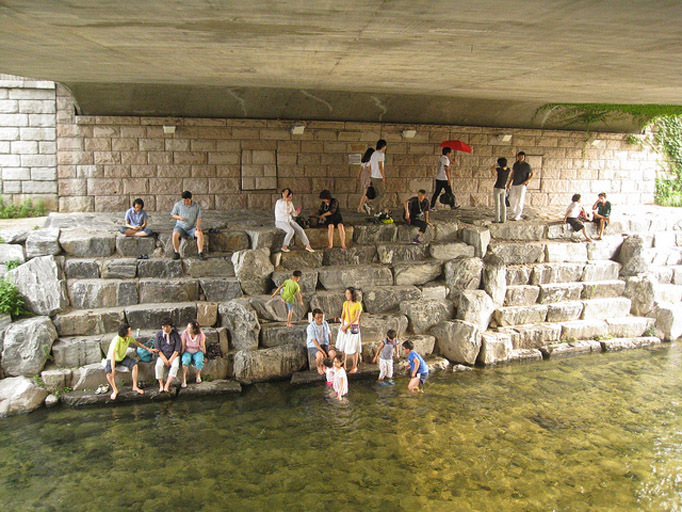 has anyone ever taken a look at all the new stream parks in Seoul/Kyeongi/ they are everywhere and wonderful but there is not much information out there on them. Wish there were.